Hello, everyone! I missed TMP last week, but here I am now. 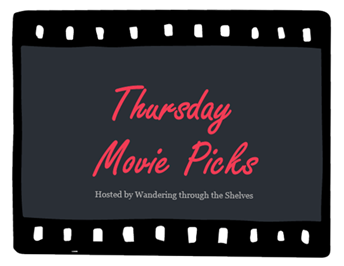 Thursday Movie Picks is a series that is hosted by Wandering Through the Shelves and if you want to join it, you can click here. The more the merrier! Anyway, this week's theme (which is Movies Adapted from Young Adult Novel) is so far, my personal favorite. I'm just glad that there are some adults who understand how young adults think and feel. I'm still waiting for my Hogwarts' letter. Oh wait, I got a squib letter. Nevermind. This is my favorite film from the Harry Potter series. It's...just really epic. Unfortunately, I think Alan Rickman is overpraised for his role in this film. Yeah he's amazing, but it's not his performance that touches me. Instead, it's Snape's story itself. The actor that disappoints me the most is...Daniel Radcliffe. Come on dude, you starred as Harry Potter for seven times before this film, yet you could only give us that? Thank God that his two sidekicks, Emma Watson and Rupert Grint, were able to steal my attention. Watson and Grint definitely deserve praise as much as Rickman's. And the ending scene!!! I love the scene, perhaps because they didn't change the actors for the scene. But it only reminds me that there won't be any Harry Potter films in the future. Even if they reboot this film, it won't feel the same. Those people in Harry Potter films, practically grow up with me, and you can't replace or try to recreate it with different people. Boys, this is a chick film that doesn't really involve Ryan-Gosling-like-gentlemen or Darcy-like gentlemen. This is a film about sisterhood, growing up, and family. I'm not a fan of the novel, which gives too many cliche messages. Although the film isn't groundbreaking, it's an enjoyable or feel-good film. Winona Ryder and young Kirsten Dunst are sweethearts. I love how Winona Ryder can express the Jo's liveliness, headstrong character, and compassion. Young Kirsten Dunst is a true brat for this film. Susan Sarandon is also amazing, but her character doesn't really need a complicated acting skill or some kind like that. The best thing from this film: young Christian Bale! Before you protest, this link indirectly says that Carrie is a young adult novel. If we put aside the horror aspect from Carrie, we get a story about a young girl who is bullied by her friends and her own mother. Carrie isn't just another horror film, it's also a film how 'standing up for yourself' thing isn't as easy as everyone said. People have different capability and capacity. Maybe it's true that bullying victims are generally weak, but who knows what they will do once they have balls to stand up for themselves. Carrie makes me question how to distinguish joking and bullying. I also hate it when people underestimate the affects of bullying because the effects of bullying can last a very long time for some people. I'm happy that Carrie can show the viewers how serious bullying can be from the start. For you bullies, just pray that none of your bully victim (or victims) is someone like Carrie. P.S: I really love The Perks of Being a Wallflower, but the film is chosen for too many times. Great picks, Carrie is an interesting choice! Thanks, it's quite hard for me to pick something that's not mainstream. LOVE all these - although I never loved the Harry Potter movies even half as much as I loved the books. I watched Carrie last year and it was amazing. I didn't bother watching the remakes since the first one was perfect. I agree with you on Alan Rickman in Deathly Hallows - it was really more of Snape rather than Rickman himself, I think he had better performances in other movies. That's why I was surprised when Rickman recieved so many praises. I think people were confused between the story itself and Rickman's acting. LOVE Carrie showing up here (and elsewhere). Such an inspired choice! Yeah, it's pretty hard to find an unusual young adult adaptation. 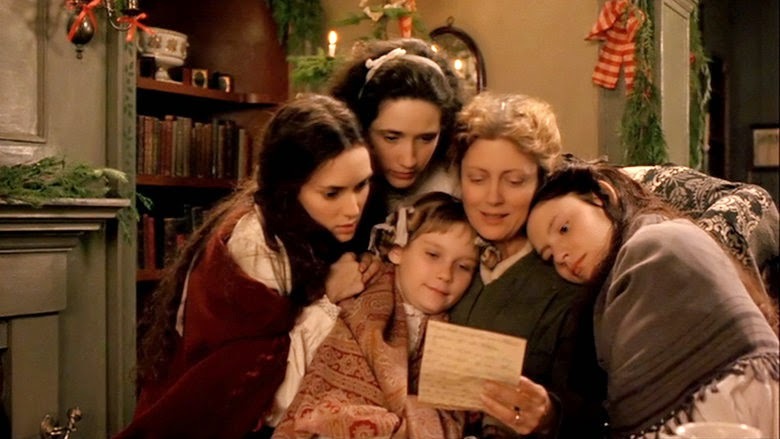 Little Women - I was just about to say young Christian Bale, and you said it. Carrie - I think Wikipedia may be wrong. I don't think Stephen King writes YA novels. But I can see how the story with it coming of age theme resonates with young adult readers. Little Women. Yes! It's been ages. I loved that movie. Great cast! 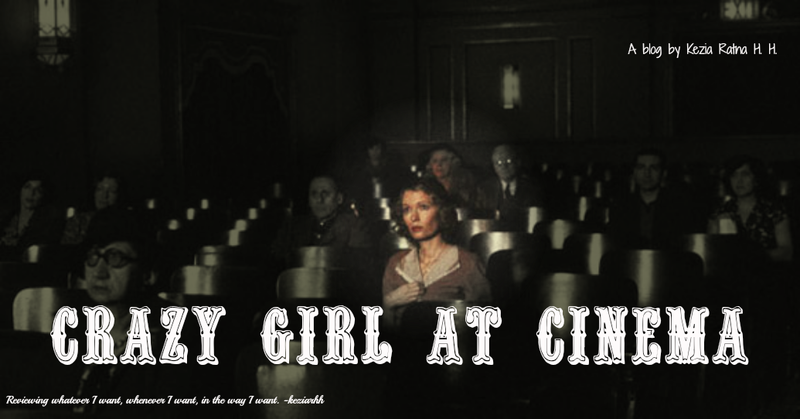 Carrie isn't quite YA, but it works as a teen movie adaptation for sure. It's super creepy dark YA lit. 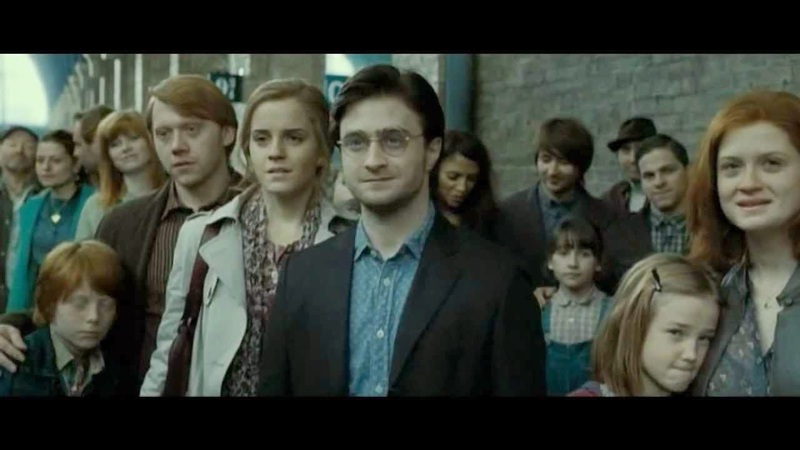 The last HP really was great! I was in dilemma between Deathly Hallow and Prisioner of Azkaban, but...Deathly Hallows is a farewell to my childhood. Carrie! I loved that film. Brian de Palma's version is a way better than the remake, but I don't hate the remake. I read the book as well (after watching the film), and I could see why de Palma's version is a way too creepy. i haven't watched the remake and I'm never interested with to do it. Carrie is such an inventive choice, I can definitely see the YA aspect to it. Sissy and Piper Laurie tear it up as that horrendously damaged mother/daughter team. I like the Harry Potter books, not as much as others but they are good storytelling. The movies are a mixed lot, the first is terribly dull but from there they picked up and the last was a fine wind-up. I can't imagine them ever being rebooted. It would be along the lines of trying to remake Mary Poppins or Funny Girl, the original actors are just too intertwined with the characters and the number of films that would be necessary would require that massive commitment from all the new actors again. I just don't see it happening. The '94 version of Little Women is an excellent choice. I think Susan Sarandon's character and performance are deceptively tricky, resolute dignity is tough to play without slipping over into being saccharine and she balances that well. The rest of the cast does fine work and I loved Mary Wickes as the flinty Aunt March. The 1949 Elizabeth Taylor version of the story was one of my choices, along with the Maggie Smith version of The Secret Garden and The Geography Club. The Katharine Hepburn version and this one are more well-known, actually that's why I picked it to shine a bit of light on it, and more sharply directed then the '49 version but it has its pleasures among them an excellent cast, aside from Liz there's June Allyson, Janet Leigh and Margaret O'Brien as the sisters, Mary Astor as Marmee and Lucile Watson as Aunt March plus that MGM gloss that makes it a visual treat. I hate the first and the second film. Too dull for my liking. Sadly, I haven't watched Katherine Hepburn's version of Little Women. Is The Secret Garden a young adult novel? Based from my experience ij watching the film, I think it's for pre-teen. I'm agree with your comment on Susan Sarandon's acting, she balances it well. Yes, another Carrie. Obviously, you get no arguments from me on that choice. Haven't seen your other two choices, though. Great work.